June 18th; On this day in 1937, Gail Godwin is born in Birmingham, Alabama. Godwin’s father abandoned his family when Gail was very young. The family lived with Godwin’s grandmother in Asheville, North Carolina, while Gail’s mother worked as a teacher, newspaper reporter, and fiction writer. When Godwin was 16, her mother married a salesman, and the family moved frequently. Godwin attended five different high schools and ultimately invited her estranged father to her graduation. He not only attended but also offered to put her through college, which would have been financially impossible for Godwin’s mother. Godwin attended the University of North Carolina at Chapel Hill and studied journalism. Her father, a longtime victim of depression, committed suicide her junior year-the first of many suicides to occur within her family. Godwin struggled with depression during much of her life. After college, she worked as a reporter writing obituaries for the Miami Herald but was fired for being “too ambitious,” according to Godwin. She married briefly, divorced, moved to London, remarried again, and divorced a year later. In 1966, she returned to the United States and pursued a doctorate in English at the University of Iowa, where she wrote her first novel, The Perfectionists, as her thesis. The book was published in 1970. She became a professor at the University of Illinois in Urbana and wrote four more books before publishing her first bestseller, A Mother and Two Daughters (1981), which sold more than her first five books combined. 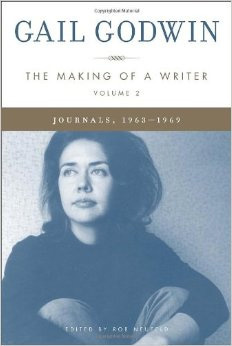 She continued writing novels that were both critical and popular successes, including A Southern Family (1987), Father Melancholy’s Daughter (1991), The Good Husband (1994), Evenings at Five (2003), and Unfinished Desires (2010). One wonders: was Godwin a great writer because she wrote confessional subjective novels or because she wrote objective personal novels appealing to a universal human experience?